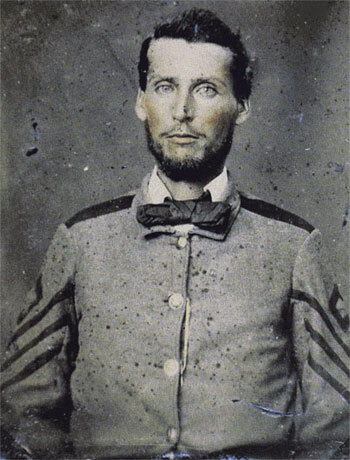 Frank Schell accompanied the Army of the Potomac on the Maryland Campaign of 1862, and was on the field for the battle on 17 September. He was a civilian there from New York – a sketch artist for Frank Leslie’s Illustrated Newspaper. 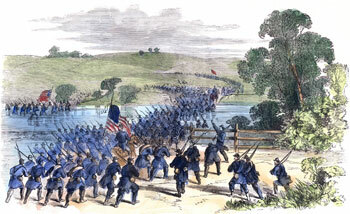 Fortunately for those who study the battle, a number of his original battlefield sketches have survived. I’ve recently discovered a set sold at auction in 2007, and a group preserved in a collection at Boston College, in particular. I’ve grabbed some selected gems among them to use here. Even better, in 1904 Schell published his recollection of the events that were going on around him as he was drawing these same pictures. 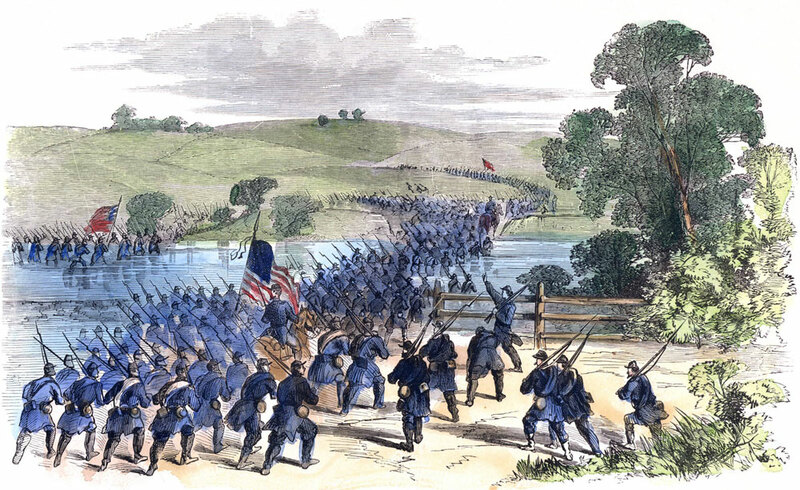 So in sharing his pictures and his superb eye, I can also leave the writing to Frank – to narrate his own drawings and give us a sense of his Battle of Antietam. As I awoke soon after daylight on the morning of September 17, 1862, the air was already vibrating with mighty sounds of battle … With spirits aflame, I speeded at my best from Keedysville for the headquarters of the commanding general … I joined the group about the commanding general, who was anxiously scanning through his field glass the situation to the right, across the Antietam. Looking more to the left, the thick west wood, with its dark, broad front so clearly emphasized by the little white Dunker church, was clearly in view along its entire extent upon the Hagerstown turnpike.